I sooo love birds! My girlfriend took me to the Fox River yesterday to show me where the Bald Eagles hang out and fish. We didn't see any but I really cannot wait to take photos! We can't hang feeders here at our apartment, I sure wish we could! Enjoy your birds! Lucky bird lady! We are big bird lovers here too. I always know spring is close when I set up the hummingbird feeders for the scouts and I spot the indigo buntings. It won't be long now. I love all your feeders and the wildlife you get to see around your place. I too have various feeders and enjoy my birdie visitors!! Crazy bird lady....I'm so glad the birds have found you. Wow, they will be so warm with their alpaca! 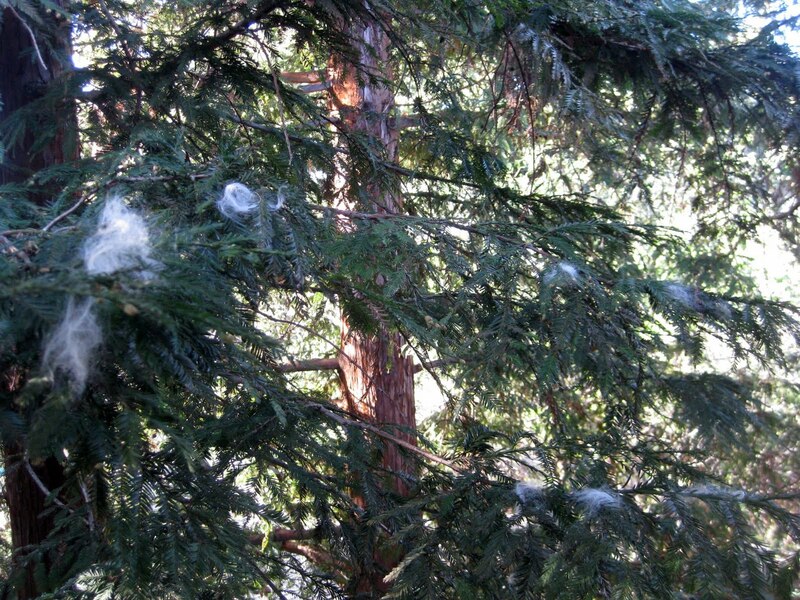 Maybe you can knit them a nice warm nest and they can stay right outside your window in that tree! 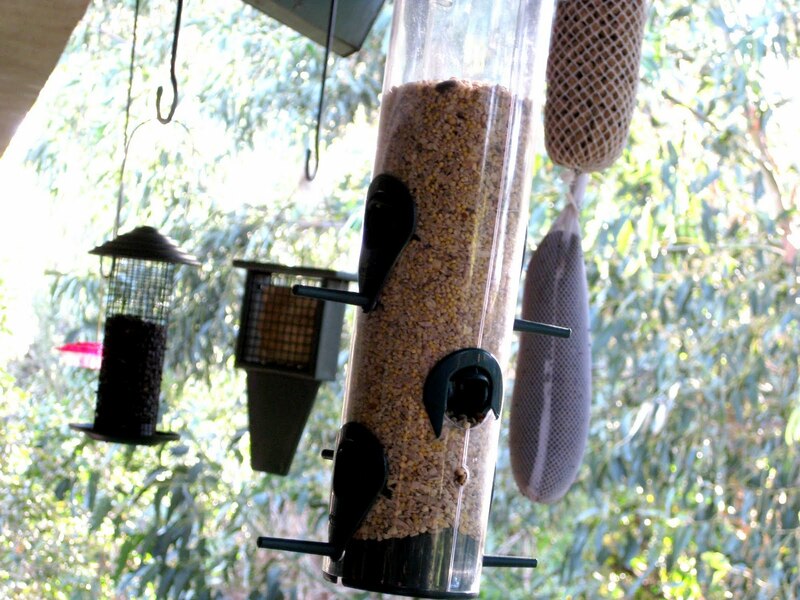 Wow -- you must be constantly refilling your feeders! I love birdwatching too -- well, animal watching of any kind. How exciting it must have been to see the hummingbird with the roving! Maybe if I put a bag of roving on my patio, the goofy squirrels will leave my patio chair cushions alone! We have a pair of resident hummingbirds every Summer. Of course when I see them, where is my camera? Not with me! I started saving my too small to work with fabric scraps for the Spring so that Amelia can scatter them outside for the birds to use in their nests. We'll see how that goes. For a long time, I just didn't get the bird thing. Then I started drawing them and just fell in love! Your little spot in the world looks so lovely! 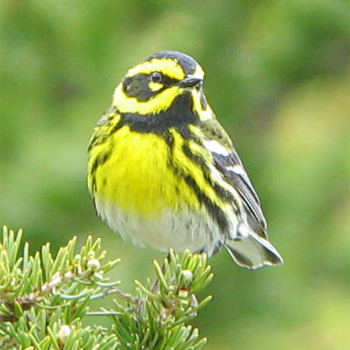 I am surprised that you have warblers..but oh I forgot you are in Calif! Nothing crazy about loving birds:) They are beautiful and I hope you enjoy your bird-watching this spring! Have a blessed day, HUGS!